Ship specific (VOC) Management Plan implementation. As from 1st July 2010, all Tankers caring crud oil must have a ship specific Volatile Organic Compounds Management plan manual. The plan has to be submitted and approved by recognized organization like the class or flag administration. This requirement has raised after the latest amendment of MARPOL annex VI. VOC management plan was introduced by IMO in order to minimize the emission as far as possible of gases produced by crude oil during cargo operations and at sea due to atmospheric pollution considerations. Most vessel are equipped with an approved VECS (Vapor Emission Control System) that is sufficient in order vessel to comply with VOC requirement while vessel at port. If terminal does not support VECS then release of gases to the atmosphere is acceptable. 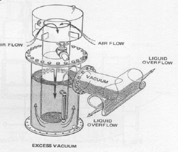 Also during sea passage the monitoring of the pressure within the tank in order to keep pressure as high as possible and a manual release procedure of vaporous when reaching the upper limit according with MEPC1./Circ680 is sufficient to comply, in most cases, with MEPC 185(59) requirement. The above approach is recommended since it requires the minimum cost. The manual procedure is tailored for each vessel according with vessels equipment. An other method to minimize VOC emissions (but not recommended) is to increase the atmospheric pressure within the tank by adjusting P/V valves accordingly. The limiting factor of the P/V valves adjustment, is the cargo tanks strength. Furthermore, adjustments have to be made to the P/V beaker and isolation/control valve of the mast riser. The typical design pressure of a cargo tank is +2500mmWG and -700mmWG. Usually the P/V valves are set to +1400mmWG and -350 mmWG and the P/V breaker to +1800mmWg and -500mmWG. So there should not be any problems to increase the P/V valves settings in order to minimize the VOC emissions and to comply with resolution MEPC 185(59). The classification societies in order to approve the plan request evidence/calculations that such an increase in the pressure settings will not affect structural integrity. We do not recommend this type of modification due to above class requirements and due to additional cost for the adjustment and testing of P/V valves, breaker and sensors. Finally there other methods to comply with the VOC requirement but it required hardware installation like KVOC valve, VOCON valve or vapour recovery system resulting to additional costs. The total pressure of the atmosphere within the cargo tank is a combination of saturated and unsaturated gas pressure. The saturated presure depents on the temperature of the liquid cargo. The hotter the cargo the more gas vapors it emits resulting to grater pressure within the tank. When the total pressure in the tank exceeds the saturation pressure of the cargo then it stops to generate vapor and the gas pressure reach an equilibrium. The unsaturated pressure of the tanks atmosphere depends on gas temperature (not cargo temperature like saturated pressure) and usually is increased during the day when the deck heats up the gas underneath due to sun radiation and drops during the night since the gas cools down. 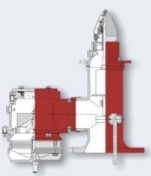 Controls for fixed CO2 fire extinguishing system for ships constructed before 1 July 2002. -	2. The two controls shall be located inside a release box clearly identified for the particular space. If the box containing the controls is to be locked, a key to the box shall be in a break-glass-type enclosure conspicuously located adjacent to the box. New sulfur limit for vessels approaching, berthing EU, and us state of California. As from 1st January 2010, ships at berth for longer than 2 hours within ports in the European Union are required to switch to 0.1 % sulphur content marine fuel oil. Details can be found in our November newsletter.